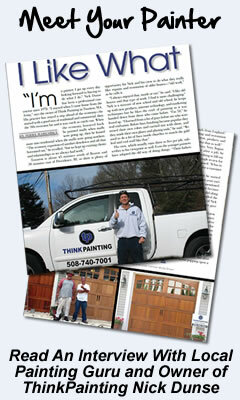 THINKPAINTING is a full-service painting company located in Southeastern Mass. We specialize in interior and exterior residential & commercial work as well as pressure washing and deck restoration . Our professional, experienced staff prides them selves on providing outstanding customer service and a superior quality of work. My number one goal on every job is to make sure you are satisfied and will refer us to friends and family. 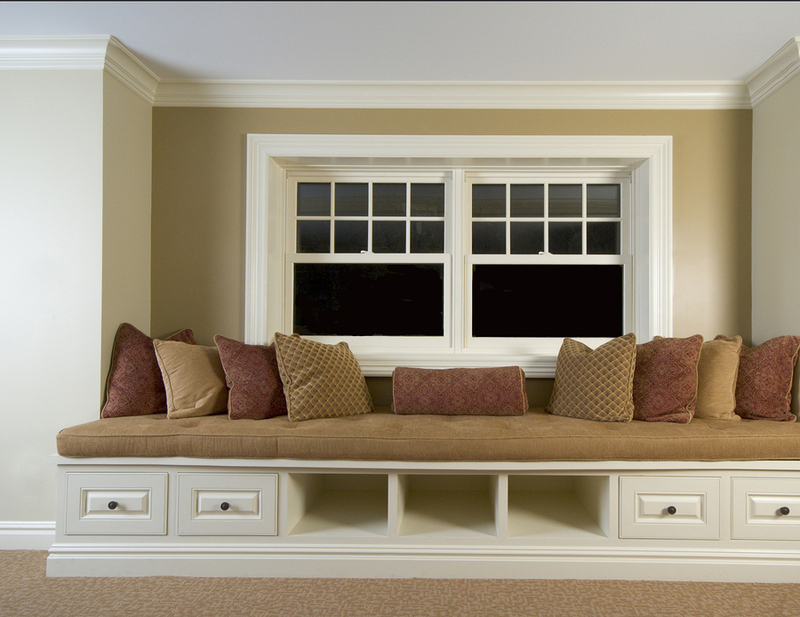 We take great pride in our testimonials and referrals from past and present customers. I will exceed your expectations on every paint job! 1. INSURANCE: We carry 2 million dollars liability and workmans compensation insurance to protect your investment, your home or business. 2. 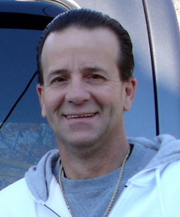 EXPERIENCE: We have been in the painting business over 30 years and my crew and I have a combined experience of 100 years. 3. No Subcontractors: Its very common practice today for company’s to sell you a job and then sub it out to someone else for low pay. Many times they have no insurance or just the certificate covering only the boss and not his helpers. 4. Legal Workers : We do not begrudge anyone coming to our great country to work so long as they come here the legal way. We do not employ illegal uninsured workers. 5.Year-Round Workers: Painting is often considered a hobby, part time job or summer job. 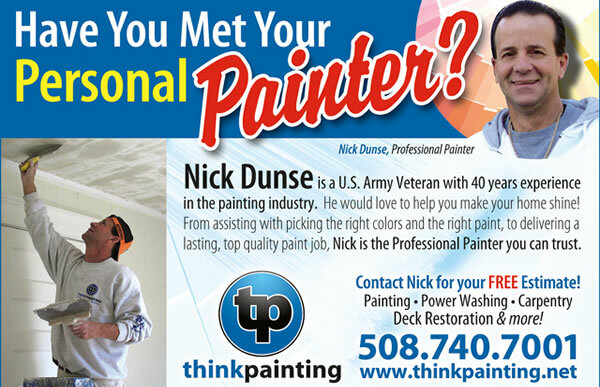 THINKPAINTING considers painting a career and a real job for real people. 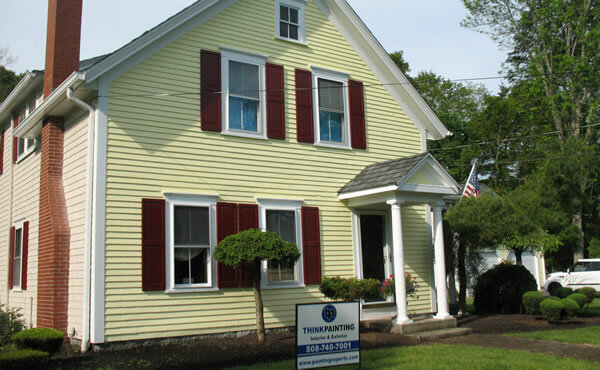 6.Pricing: THINKPAINTING is not the lowest priced contractor in the area but we are very competitive with other professional firms like ourselves. We are expert estimators having priced painting projects for over 30 years so we know what it takes for you to get the most out of your investment. Have a budget let us know and we will work with you to get the job done and with in your budget. We are also experts in deck refinishing see our deck article in The Woman’s Journal Magazine click on this link Womens Journal Deck Article June 2010 We have refinished over 200 decks in the last 2 years!